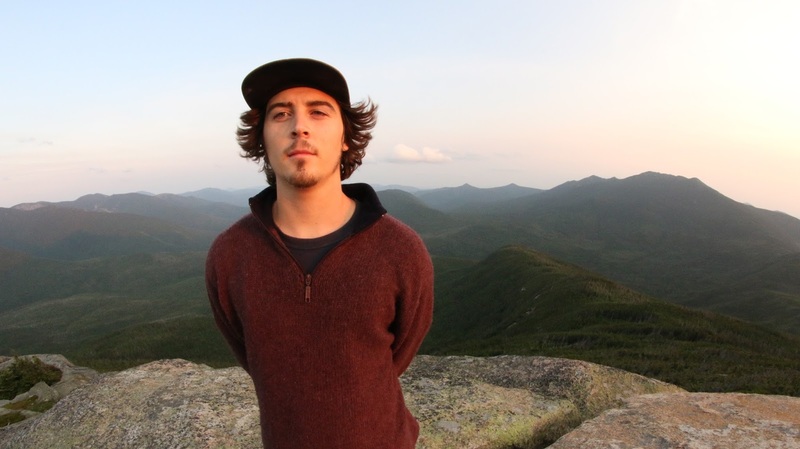 After Tanner created this video of his 5-day hike along Garfield Ridge and the Twinway (spending the night at AMC’s Galehead and Zealand Falls huts, plus Garfield Ridge and Guyot campsites), we sat down and asked him to reflect on his experience with AMC. 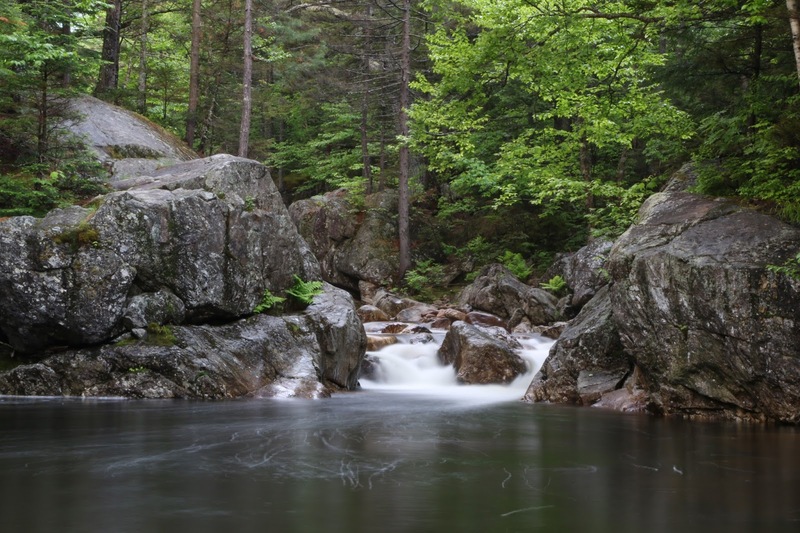 Q: You grew up hiking and climbing in the White Mountains – was there a particular hike that hooked you on getting outside? A: I don’t think there was a particular hike that got me hooked on hiking the Whites. For me the experience of hiking was something that I couldn't match with anything in my life at that time. I was fairly young when I started hiking in the Whites and grew a passion towards what each mountain had to offer. For me personally it was an escape from main stream life such as school, work, and other obligations that needed serious commitment. This was a way for me to find myself, reflect, unwind, and gain a sense of realism that I couldn't get anywhere else. The outdoors are my backyard since I live in the heart of the Valley, so it was only fitting to take advantage of my surroundings and explore what the Whites had to offer. I found peace in the mountains and found my love for climbing there as well. I’ve been climbing for about six years now and every day the thrill and enjoyment are still present in the sport. Q: What struck your interest in outdoor photography and videography? 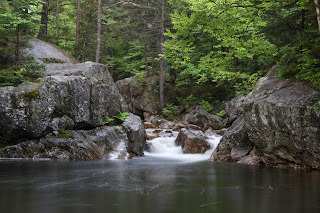 A: To be completely honest, I have always loved filming the great landscape of the White Mountains, but what really hooked me on filming nature would have to be working with the Center for Rural Partnerships at Plymouth State University. My boss Rachelle Lyons really made me feel the passion of what we can do with the great outdoors. It was such an amazing opportunity working with Rachelle because she really promoted creativity towards the projects we were working on and brought me to amazing places throughout the period we worked together. She really opened my eyes on what the world had to offer in the field of outdoor videography. Q: What was your favorite moment of the Garfield ridge/Twinway trip? A: My favorite moment of this trip was connecting with like-minded individuals and hearing their stories from past and current travels. I also liked getting to know the people who commit their summer to working at AMC Huts and AMC Backcountry Campsites. I also enjoyed the solitude portion of the trip since I was flying solo throughout the Garfield ridge. This allowed me to reflect on my graduation and really pushed me to think about what I want to do in the future as an up-and-coming filmmaker. Q: As your summer wraps up, what was the best part of your time as AMC’s Trail Reporter? A: Exploring new places, meeting extraordinary people with like-minded opinions, and pursuing my passion for the art of film. This was such an amazing opportunity to have right after college and I couldn't have asked for a better summer internship. Q: Where can we look to see your next project? A: I haven’t made a website yet but that’s something I will be working on in the future once I find the time to do so, but for now you can follow me on Vimeo. Most of my videos on Vimeo consist of snowboarding edits from when I attended Plymouth State University, and I have other miscellaneous videos on there as well. Most of my other videos are scattered throughout the inter-web and I’m not entirely sure where they are, but for now Vimeo is my nesting ground. Tanner produced a number of video projects for AMC throughout the summer of 2015 – you can watch many of them in this playlist on AMC’s YouTube channel.